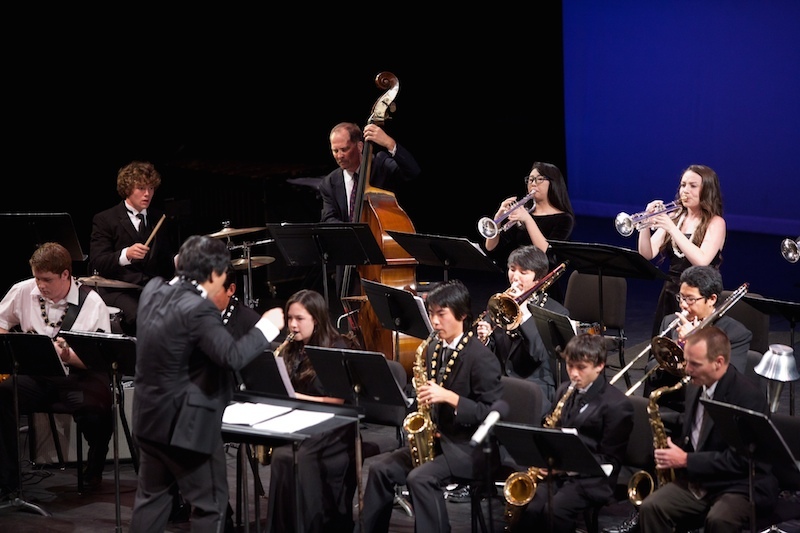 The Na Ali’i Big Band is one of Maui’s premier ensembles for big band-style jazz and swing. Ranging from Basie to Maynard, this group of talented high schoolers focuses on the stylistic elements of jazz music as well as improvisational soloing. The Teal & Black Jazz Quintet is comprised of senior drummer Joshua Demetropoulos, junior pianist Michaela Johnson, senior trumpeter Keokoa Mahi, and music director Casey Nagata, and will be joined by guest bassist Danny M.